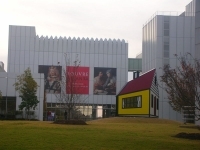 Located in deep in the city's art district, Atlantas's High Museum of Art is home to more than 15,000 pieces in its permanent collection. This includes 19th and 20th century American art, important and visiting European collections, as well as contemporary art and photography, and African art. The museum has an impressive collection of Civil Rights photography. Transport: Head northeast on Peachtree Street toward Walton Street NW. Opening times: Tuesday to Saturday 10am-5pm (open till 9pm on Friday); Sunday 12pm-5pm. Closed Mondays. Admission: $14.50 general admission. Other concessions available.